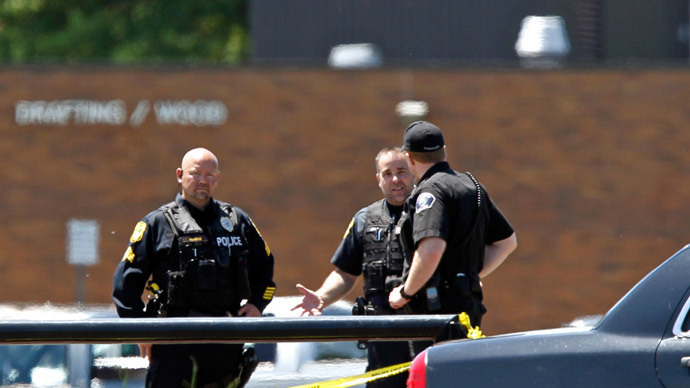 Although many Americans are aware that their local police forces are steadily acquiring military-grade weapons from the Pentagon, news that local school districts are also the beneficiary of the firepower is eliciting an outcry from citizen groups. 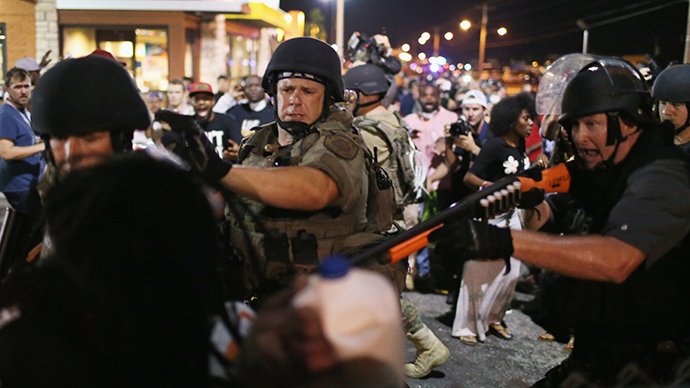 Just one month after the shooting death of African-American teenager Michael Brown by a white police officer, which brought military-grade vehicles and weapons onto the streets of Ferguson, Missouri, in response to an outbreak of protests and riots, Americans are wakening to the realization that their school districts are also being militarized. At least 26 school districts have participated in the Pentagon’s 1033 program, which since the 1990s has provided free military surplus goods, including mine-resistant armored vehicles, grenade launchers and M16 rifles. 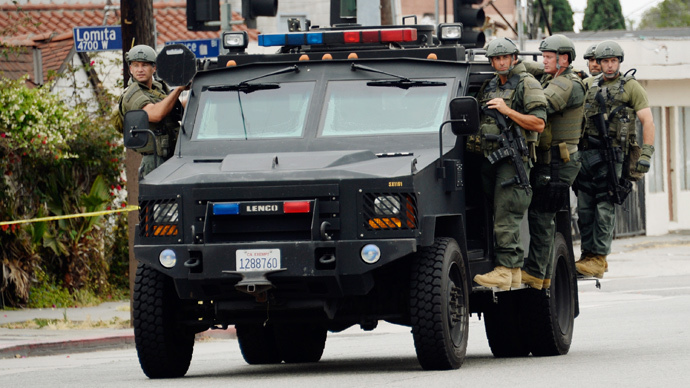 Last week, for example, the San Diego Unified School District Police Department (SDUSD) announced that it had received from the federal government a $733,000-dollar Mine-Resistant Ambush Protected (MRAP) similar to those used in the Iraq and Afghanistan wars. 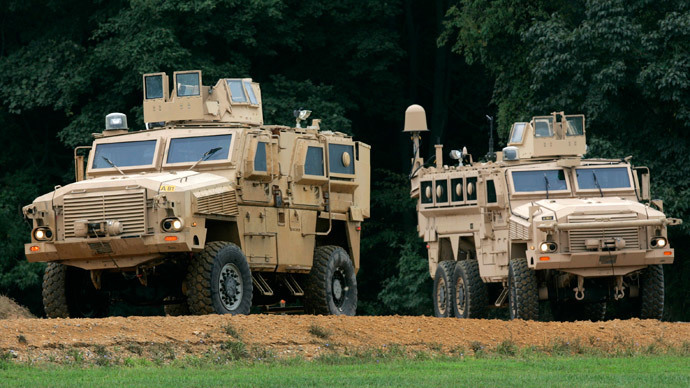 In June, the Los Angeles Unified School District also received a MRAP. Although the 18-ton vehicle does not come with any weapons, citizens and watchdog groups are wondering exactly what type of emergency would require the use of an armored vehicle. Although America’s localized arms race has been explained as a way for helping police fight against terrorists and drug cartels, the militarization of school police departments has been explained by incidences of violence on school grounds, most notably the 1999 Columbine High School massacre, which left 15 dead, including the two perpetrators of the shooting spree, Eric Harris and Dylan Klebold. This week, almost two dozen educational and civil rights groups sent a letter to Pentagon officials, urging them to halt the controversial practice of militarizing US school police departments, which have been reported in California, Texas, Nevada, Utah, Florida, Georgia, Kansas and Michigan. 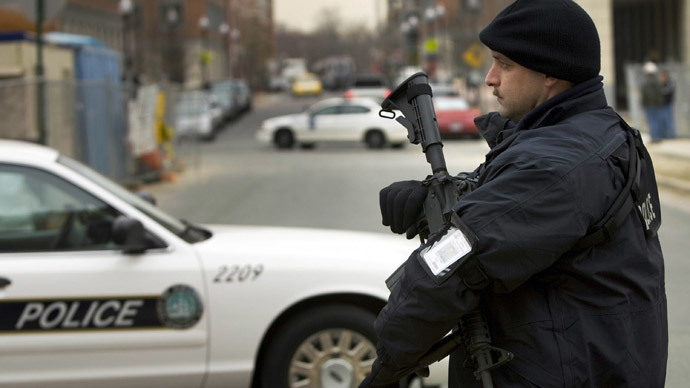 The call for school police departments to return the military equipment they received from the Pentagon has been met with a mixed response. Rick Stelljes, the chief of Florida’s Pinellas county schools police, said he had acquired 28 semi-automatic M16 rifles through the program. Although the firearms designed specifically for battlefield conditions have never been used, they are “something we need given the current situation we face in our nation. This is about preparing for the worst-case scenario,” Stelljes told AP. Jill Poe, police chief in southern California’s Baldwin Park school district, said she would be handing over three M16 rifles acquired under her predecessor.